Some 85 candidates were arrested on charges of violating election laws during the LG elections, Police Media Spokesman Ruwan Gunasekara said today. He said no serious offenses were reported during campaigning and a peaceful election was conducted because the Elections Commission strictly upheld the law, the assistance of the media and the Police maintaining law and order without fear or favour. SP Gunasekera told a news conference that 692 complaints were received during the pre-election period with 138 suspects including 25 candidates arrested. He said 126 complaints were received on elections day with 14 suspects including four candidates arrested while 45 complaints were received during the post-election period with ten suspects including four candidates arrested while 385 suspects including 38 candidates were arrested for violating election law during the pre-election period with arrested 122 suspects including eight candidates arrested on election day. 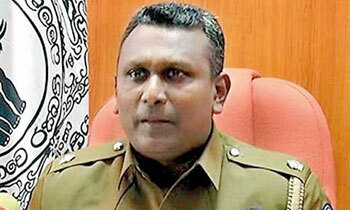 SP Gunasekara said two suspects were arrested for using loudspeakers on the day after the election. He said the Police received a total of 869 complaints from nomination day with 162 suspects including 37 candidates arrested for election-related violence.